Soar Chapel was rebuilt twice, a vestry was constructed and later enlarged, a manse was built, and a schoolroom was added to the vestry. In addition, modernisation of the chapel's interior also occured in the 1930s. Below, we outline the main dates and details of the history of Soar (Zoar) and its associated buildings. The cause began in 1843. Capel-Pen-Steps was built in 1847. Capel Soar was built in 1858. The chapel was enlarged and the vestry was raised in 1866. "This was the stone wall of the first chapel." The building was started in October 1846, the builders being William Nicholas mason; Lewis Rees Carpenter; William Thomas and Sons, roof and plaster. The first chapel was very plain and cost £350, towards which the fraternity collected £95 15sh 8d. It was known as "Capel Pen Steps" as it was reached by climbing 80 steps. The chapel was opened on Sunday 11th February 1848, although it had not been completed. "Capel-Pen-Steps was built in 1847" - from the stone. The little chapel became the worse for wear on account of its exposed position and steps were taken to build a new and larger one, and the site upon which the present edifice stands was secured, at a yearly rent of 5sh for a term of 99 years from March 25th 1858. The new building cost £561 and the first service was held there on 17th 1858. Capel Soar was built in 1858 - from the stone. A contract was signed for £350 with a Neath contractor to enlarge the chapel in 1866, but he became bankrupt. The members agreed to proceed to pay the workmen and the pastor was asked to supervise the work. The total cost amounted to £902 18sh 2d. The chapel was re opened on 15th May 1867, while a vestry was also built. The chapel was enlarged and the vestry was raised in 1866 - from the stone. 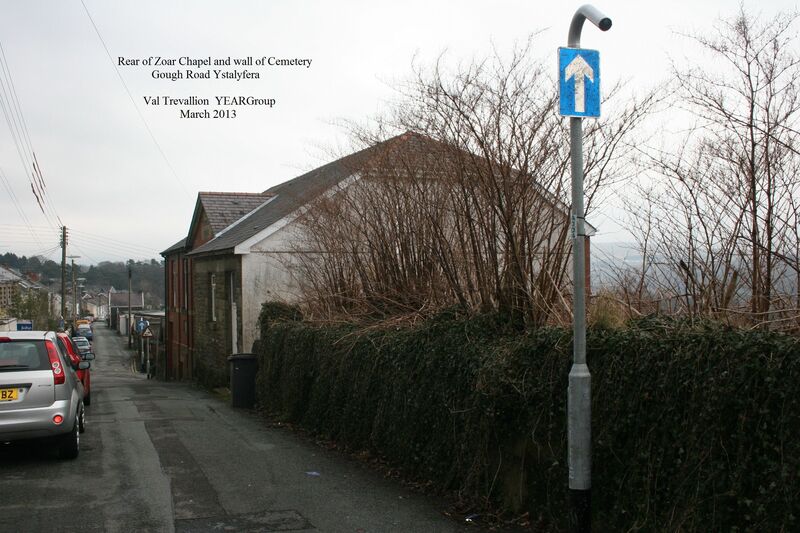 The photographs above show the rear of Soar vestry on Gough Road, Ystalyfera. The history contains a long reference to the building of the new vestry, consequent upon an offer by the late Mr D W Davies [left] to contribute 10sh for every £1 collected by the members up to £300. 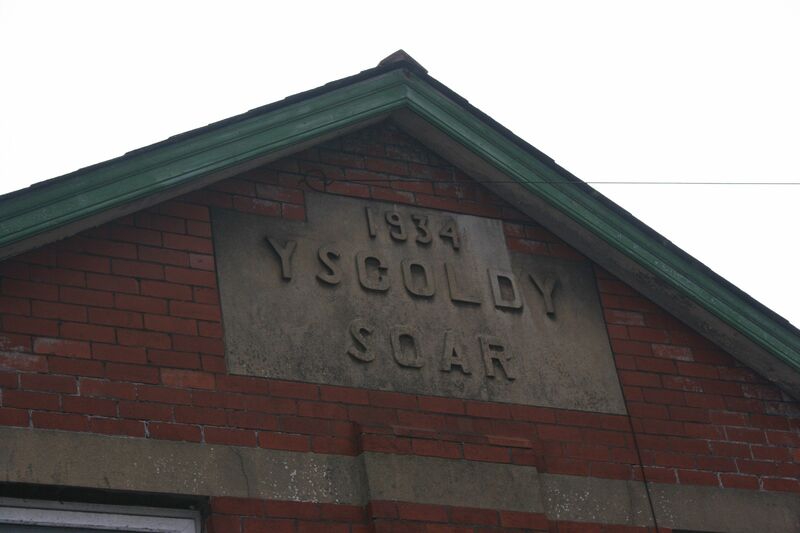 This lost landmark of Ystalyfera was closed in 1979 and subsequently demolished. Internal heating was introduced in 1933, this costing £207. 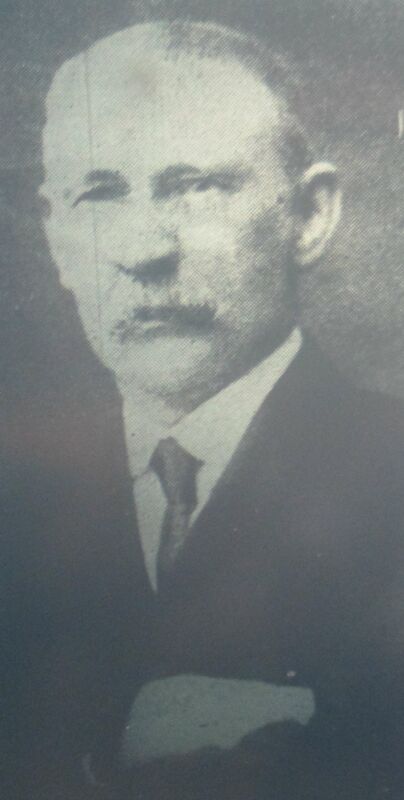 The cost of installing electric light was defrayed by Mrs Elvira K Lewis, who donated £100 in memory of her mother, Mrs Mary Evans and grandmother, Mrs Margaret Richards. Two houses were purchased near the chapel with the object of building a manse, but the plans did not mature. The cost was £315 13sh 6d while the freehold of the land upon which the chapel stands, together with the burial ground was bought for £60 9sh. 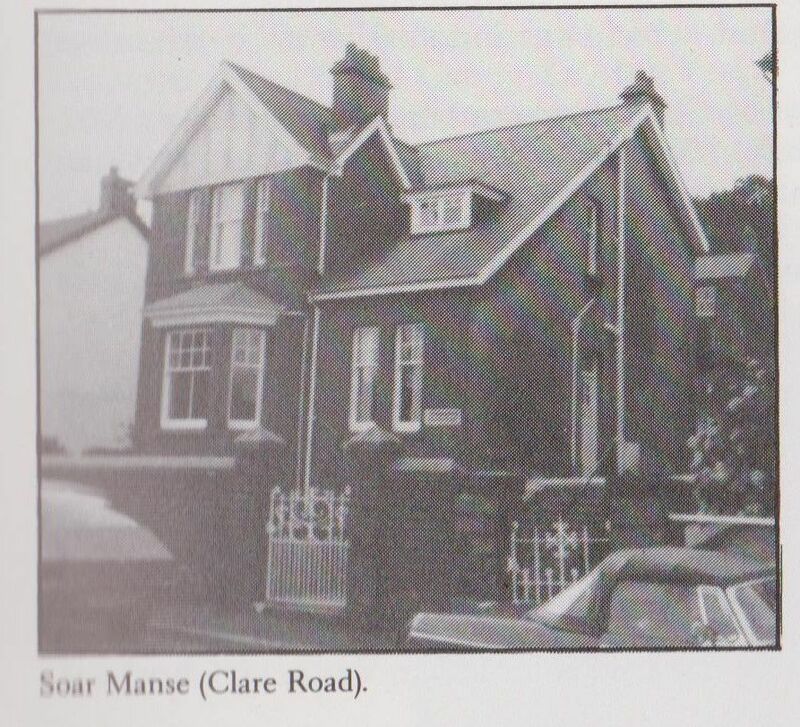 The manse was erected in 1925 at a cost of £1,225 3sh 6d. 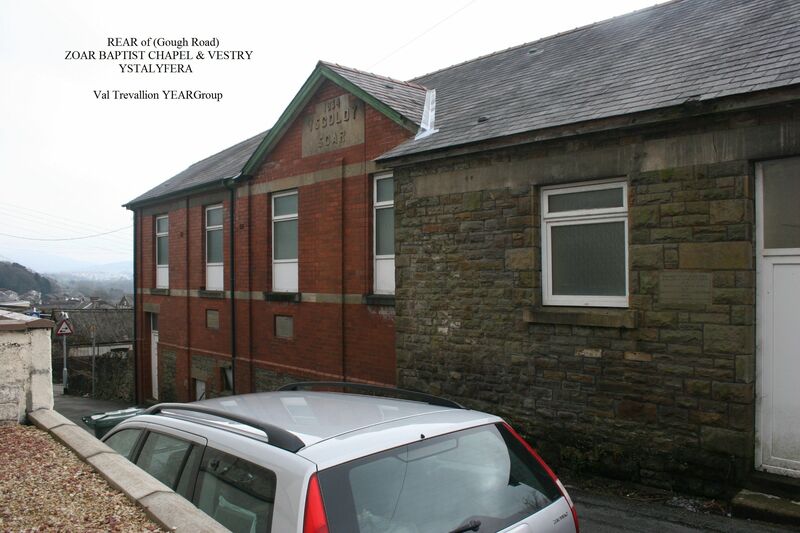 In 1934 the current vestry and its new Schoolroom was erected. The photograph below is from the Llais and shows the stone-laying ceremony, where the stones currently set in the wall were laid. The cemetery for Soar (Zoar) lay adjacent to the chapel. 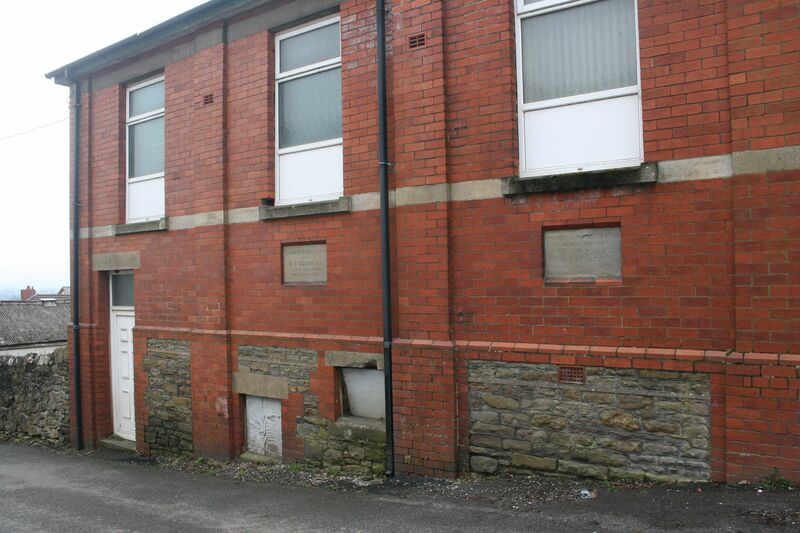 Its retaining wall can be seen on the immediate right, of this photograph below, which looks down Gough Road at the old schoolroom and vestry. The cemetery next to the old vestry is under renovation to remove the Japanese Knotweed and all the broken headstones are to be removed. The whole headstones are to remain on site. The intentions are to repair the surrounding walls, make the cemetery in a vegetable garden and flower borders. The cost of this is at my own expense. There is no public money whatsoever being spent in this project. There will be a commemorative wall sign with shelf for people who would like to leave flowers and show their respects. We believe this will go a little way to enhance the village as this site has been an eyesore for many a year. 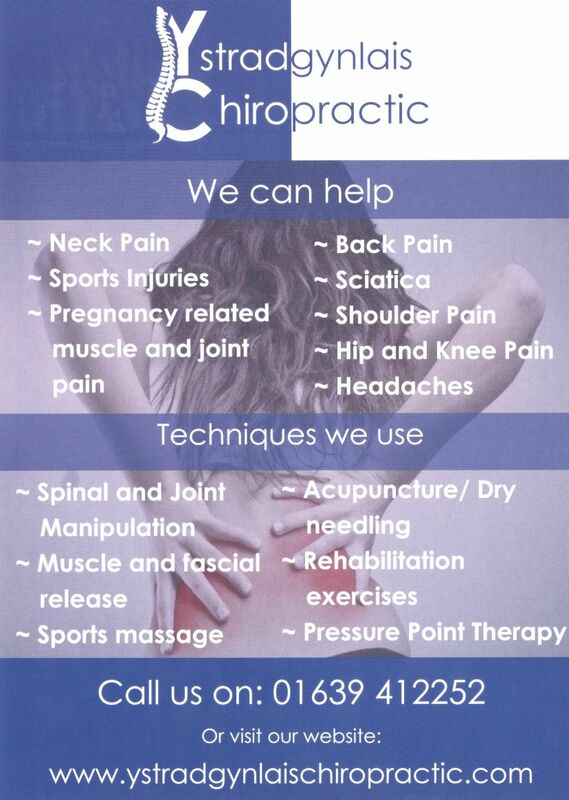 If you have any questions or concerns please contact 01639 849467.